OK, cue the music! ” got me a car, it’s as big as a whale and we’re headin’ on down to the Love Shack. I got me a Chrysler, it seats about 20 so come on and bring your jukebox money….”. Those lyrics sound familiar? How about a clue? It was the B52’s biggest hit. Right, Love Shack. 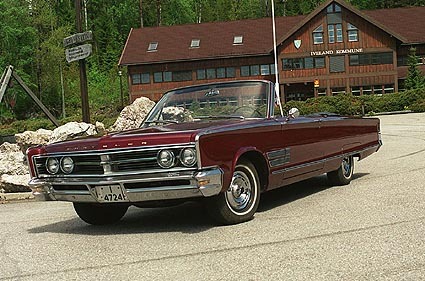 If you go to the music video you will see a 1965 Chrysler 300 L which was the last year of the traditional letter series. It was as big as a whale with a 124 inch wheelbase. The Chrysler 300 “letter series” were high-performance luxury cars built in very limited numbers by the Chrysler Corporation in the U.S. from 1955-1965. 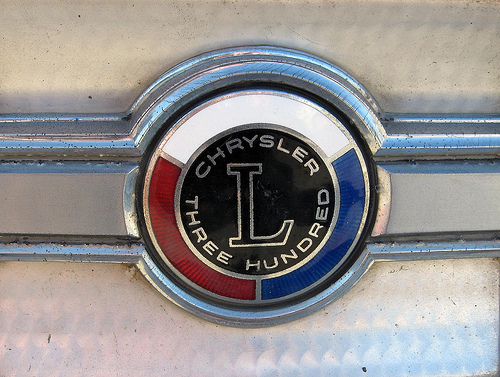 You could identify a 300 by the special logo placed on the car on the grill and rear quarter. Each year’s model used a new letter of the alphabet as a suffix (skipping “i”), reaching 300L by 1965, after which the traditional letter series was dropped until coming back a couple of years ago. Chrysler said it best “It’s The Most Beautiful Chrysler Ever Built”. The base engine was 315 horsepower. The 390 horsepower 413ci engine was no longer available though any three hundred could be ordered with a floor shifting four speed manual gearbox. Fronm what I read from owners, it’s a great cruising car car but makes turn as wide as an aircraft carrier and is tough to parallel park. Well duh! I had a tough enough time learning that with my dad’s 1967 Rebel wagon! But how can you not love a convertible? I can see myself in it. Add a nice loud sound system and I’d be good to go. That would be a blast in the warm weather. BTW, up here in Wisconsin, we consider warm weather 60 and above although I’ve ridden my motorcycle down to 40 degrees. Hey, the season in short. In the final year there were just 2,405 coupes (rare) and 440 convertibles (even rarer) were sold. OK, so I got really excited to see what a good example of the real dear might cost. Thinking they were made in such small numbers, what, $50K? $110K. Not even close. Right now coupes go for around $10K and the convertibles in the $25K range. 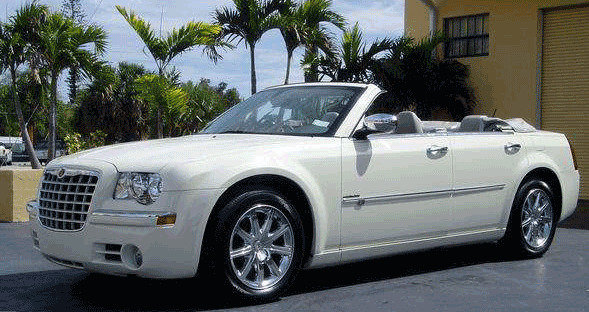 Convertibles, I found out are a good deal, as the 300 isn’t as sought after as the muscle cars that defined the era. The new on is cool. I have seen some convertibles but they were made by the aftermarket shops. I met the car’s designer, Ralph Gilles, at Road American this summer. Gilles is currently the President and CEO of the SRT Brand and Senior Vice President of Design at Chrysler Group LLC Really nice guy. So much passion for cars and funny too. I could see myself in that too especially in some place warm, with palm trees. Sweet. OK, now for the promo models. Same deal. The coupes can go for around 100 bucks while like the big guys, the convertibles, about twice as much. 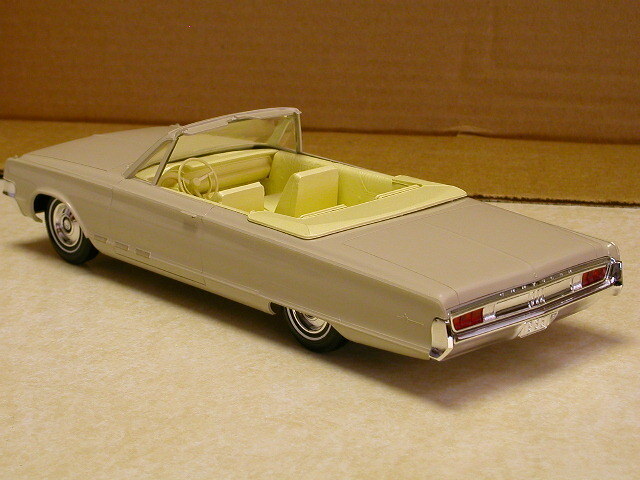 I found this super mint ’65 300 L convertible on ebay recently. Now these are the cars I get excited about. Something you might see in a lot of collections. Solid body, good chrome, no scratches and both windshield posts. This is a car if one were to buy would go in a special case, maybe near a sound system where the B52’s could be heard singing, ” got me a car, it’s as big as a whale and we’re headin’ on down to the Love Shack. 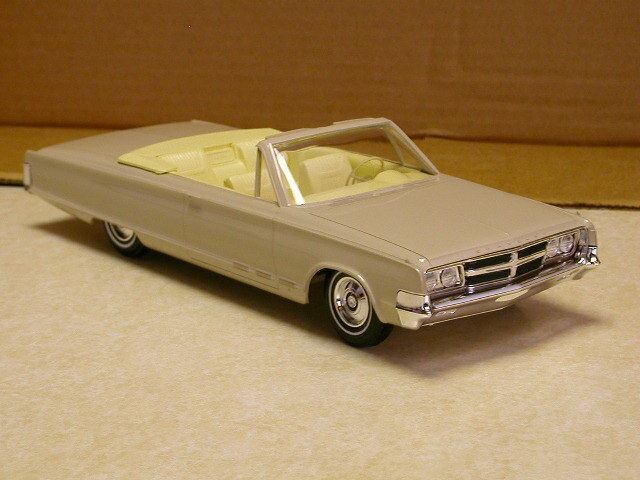 I got me a Chrysler, it seats about 20 so come on and bring your jukebox money….”. Cool stuff! If you could spread the word about our site, that would be great.